Goodmorning my loves!! Hope everyone is having a productive week so far! One of my most asked questions is about my current skincare and makeup routine. Although I’m always trying out new products to review for you guys, my holy-grail products always have a permanent spot on my bathroom vanity. These are the products I know I can always rely on, that I constantly find empty and repurchase. 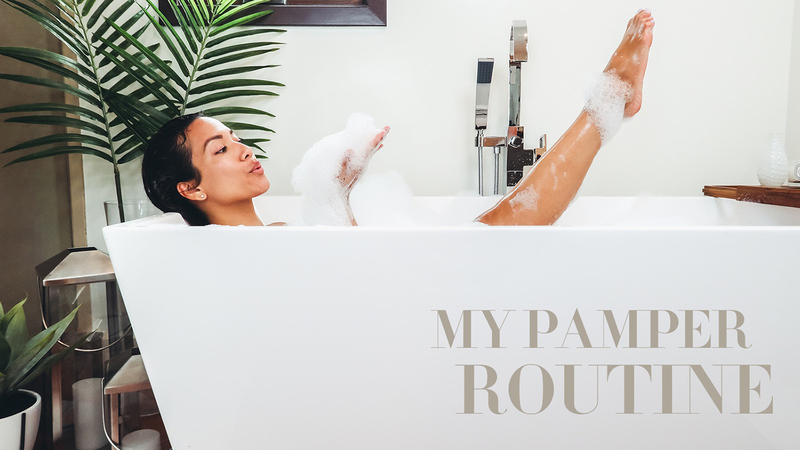 If I’m traveling or my skin is going through a breakout, I try to go back to using some of my regular products because I know it will calm my skin. 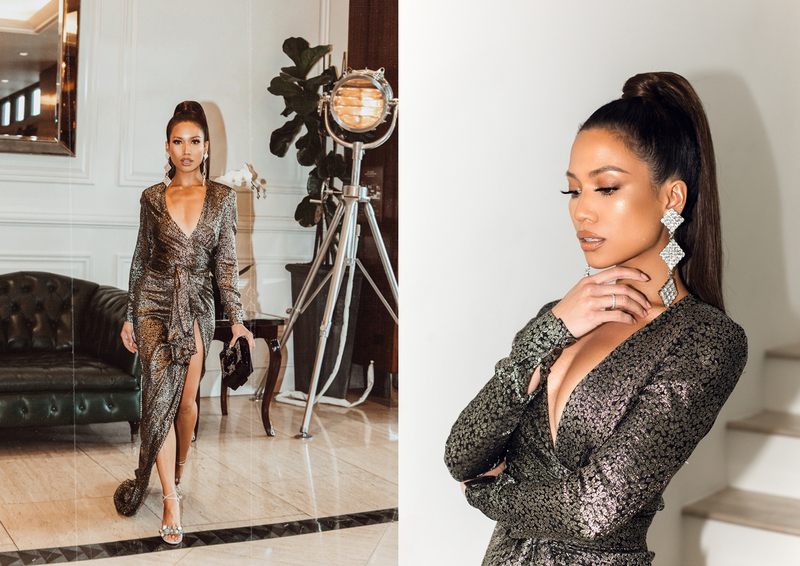 For those of you who watch my tutorials and stories, you know how much I talk about some of these products so today I wanted to do a round-up post on all my current favorites! Step 1: I’m sure by now you guys know how much I love and need my Elemis ProCollagen cleanser! I raved about it in my 10 products I can’t live without video and have probably gone through 5 more jars since then! I naturally have oily skin so I’ve always been hesitant to use cleansing balms and oils on my skin, especially before bedtime. What I love about this formula is that the texture doesn’t feel overly oil and just melts into the skin creating this milky lather that almost feels like a foam cleanser. It seriously feels like silk is touching your skin! My skin always feels so refreshed, soothed and plumped after I use this. 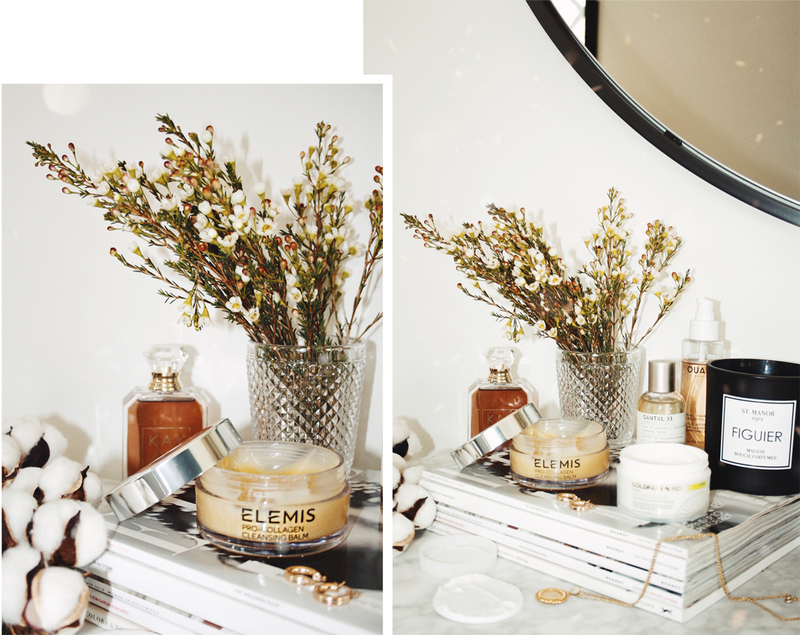 In the mornings, I like to use the Elemis Biotec Skin Energizing Cleanser. Step 2: I try to exfoliate 2-3 times a week using the Goldfaden Doctor’s Scrub Exfoliator. Exfoliating has numerous benefits such as minimizing pores, evening out the skintone, reducing acne, and allowing the absorption of your other skincare products. Regular exfoliation will keep your skin smooth, soft and glowy! I love everything about this formula, it’s super creamy, gentle and works to manually leave your skin feeling visibly glowy and soft. Step 1: My go-to oil on days that I’m feeling particularly dry is this face oil by Colbert MD. This oil is highly absorbent and mixes well with all of my moisturizers and looks amazing under foundation! The formula is packed with retinol, Vitamin C, borage seed oil, argan oil, and antioxidants that are really healthy for your skin and give you the ultimate GLOW. Unlike other oils that disappear from your skin after 10 minutes, you’ll see the effects of this oil for hours which is why it’s great under makeup! Step 2: You guys have seen me talk about this moisturizer from LA Mer for a while now, but it’s honestly one of the BEST! It is truly a pricy investment, but a little goes a long way! To be honest, I usually prefer the consistency of light gel creams since I have oily skin, but this is one of the only heavy creams I like to use. There is no oily residue and it practically melts into my skin. When using this cream, you want to make sure to warm a small amount between your fingertips and pat onto clean, dry skin. This is the most important step to activate the ‘miracle broth’ ingredient which works to restore your skin to it’s healthy and radiant state. 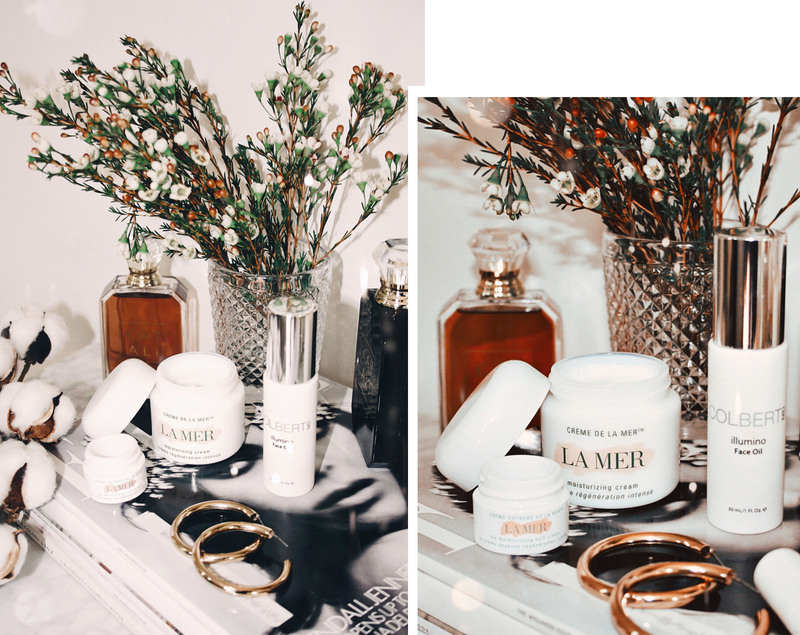 On days that I’m shooting or know that I’ll be wearing a full face of glam all day long, I like to use La Mer’s Matte Lotion since it balances shine and works as a beautiful primer for my skin. Lastly, during the summer and when I’m traveling to hot humid climates, I always bring along the Cooling Gel Cream by La Mer. This formula couldn’t be more perfect for summertime, it feels so refreshing, cooling, and velvety on the skin, yet provides the same amount of moisture as the heavier creams. 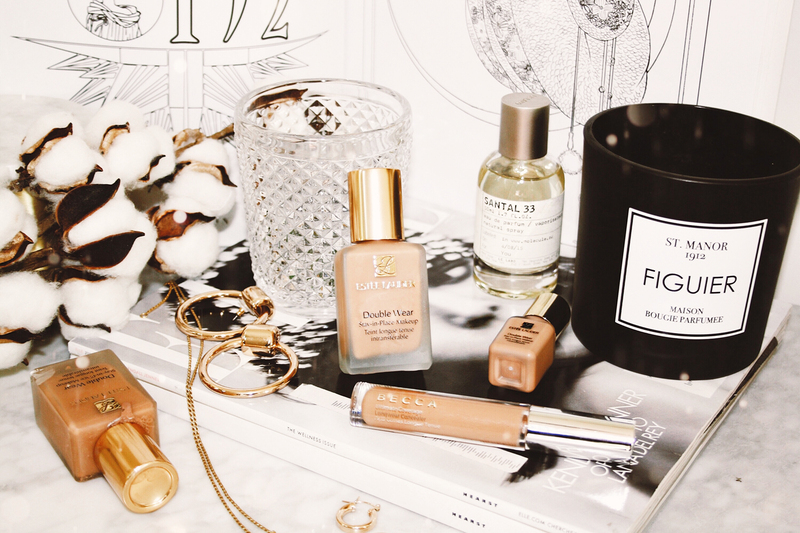 You guys know how much I rave about this foundation on a regular basis! If I have a long shoot day or need a more full face, I love Estée Lauder Double Wear Foundation. I combine shades ‘Spiced Sand’ and ‘Shell Beige.’ This formula is especially great for oily and combination skin because it controls shine and truly does stay-in-place all day and night! On days I want to take a break from heavy foundation but still want coverage, I do Bare Minerals Original Loose Powder Foundation. It was actually my first time trying trying a powder foundation last month and I’ve been obsessed ever since! Of course I had to document my first time trying a powder foundation, so if you guys want to see a tutorial on this click here! I think this product is a great day to day foundation because it gives you that no-makeup feel, yet provides a great amount of coverage. Since it’s a mineral powder formula, the texture is super lightweight and almost feels like nothing has been applied to your face even if you build it up. For concealer, I love the Becca Aqua Luminous Concealer. That’s right guys…I’m using something else than my 10 year old MAC Studio Finish concealer (lol remember this video?!). I’m very picky when it comes to concealers and need something that covers my dark circles without creasing or feeling too heavy under the eyes. I love this concealer because the formula is really hydrating and I’ve found it to not crease and move around much throughout the day. For best results, I apply in dots and blend it in with a damp beauty blender. To seal everything in, I spritz on a little Clarins Fix’ Make Up Setting Mist and voila! What products are you guys using in your current skincare and makeup routines?! Leave me a comment below! Love ♥️that, I think I should try the Becca concealer too, there’s a lot of good things i in your current skincare routine. I would like to try the LA Mer moisturizer. Looks fantastic! I’m currently using a few mac products which I love! Thanks for stopping by babe!! Oh gotta love La Mer! Incredible photos you have here dear. Love your picks!